The Arabic and Islamic Civilization Unit, Faculty of Arts, University of Colombo devoted to attend as the academic body of Sri Lanka in providing quality education, training and research in applied Islamic studies as well as Sri Lankan Muslim History. In 1995, Arabic and Islamic Civilization disciplinary was established as a subject under the Dean office of the Faculty of Arts and it was upgraded as a unit in 2007. Currently, the Unit offers more than 22 course units for an academic year for B.A. General/Special and B.Ed degree students. In addition, it’s preparing to offer a short course in Arabic language to contribute tourism and foreign employment sectors. Furthermore, the academics of the unit conduct a number lecture in Middle East history and religions to the students who follow degree programmes at the Buddhist & Pali Studies Unit and the Department of History in Sinhala Medium. 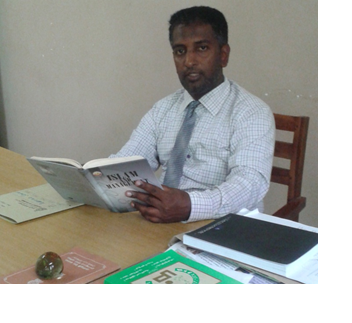 At this time the Unit of Islamic studies is known for its contribution to new roots of Islamic studies such as cultural study and social integrity as well as to established fields such as Islamic economic, social history of Sri Lankan community and other regions. The department has a pool of professional Islamic studies and specialists in Arabic language. Undergraduates are able to focus their attention in Sri Lankan Muslim history and Islamic Banking and Finance studies in a very unique and enriching environment, utilizing the many resources available from the resource center of the Unit, libraries, and international organizations.